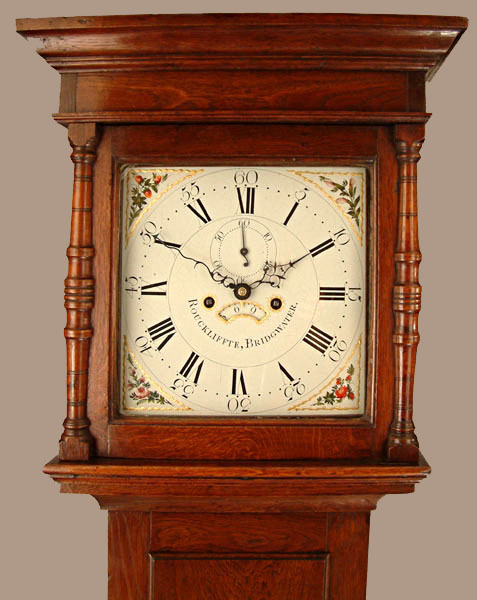 Roucliffe, John of Bridgwater Longcase Oak Circa 1780 - Height 77.5in. 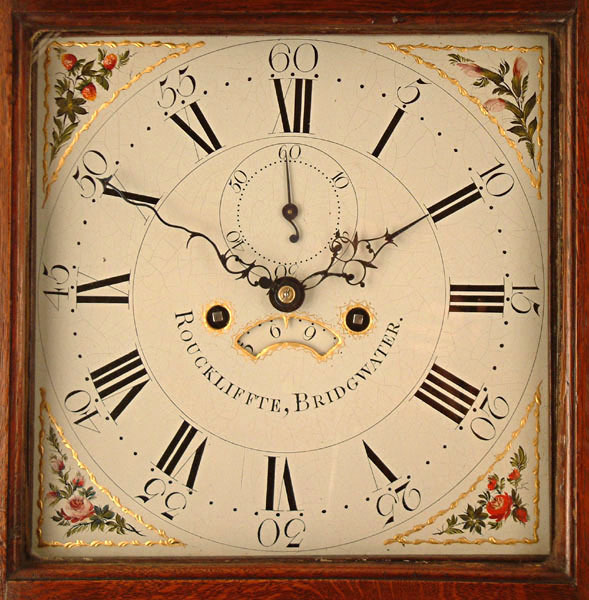 This Longcase Oak Archive's Maker - Roucliffe ( John ) of Bridgwater recorded ante. ( before ) 1765. Long door plain oak case with pillars in hood door and flat top. Early painted dial with gilt raised gesso spandrel borders enclosing flower sprays, minutes numbered, pre winding collets, pre falseplate, sharply cut date box. 4 pillar, 8 day with hourly ( rack ) striking. Roucliffe ( John ) of Bridgwater recorded ante. ( before ) 1765.